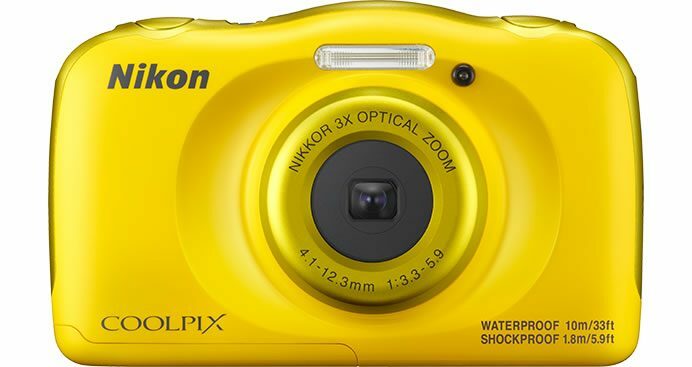 Nikon today announced the release a new tough waterproof and shockproof compact digital camera –Coolpix W100. 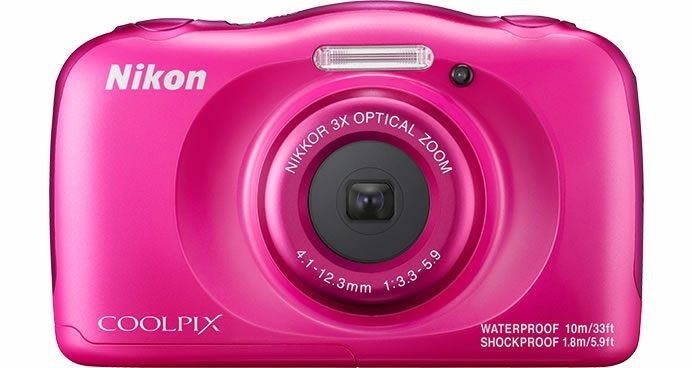 Nikon Coolpix W100 with 2.7-in. approx. 230k-dot LCD monitor is dustproof, waterproof to 10 m, shockproof to withstand falls from as high as 1.8 m, and freezeproof to -10°C. It has a tough body that allows it to be used with a wide variety of leisure activities, whether at the pool or the park sandbox, the beach or the ski slopes. 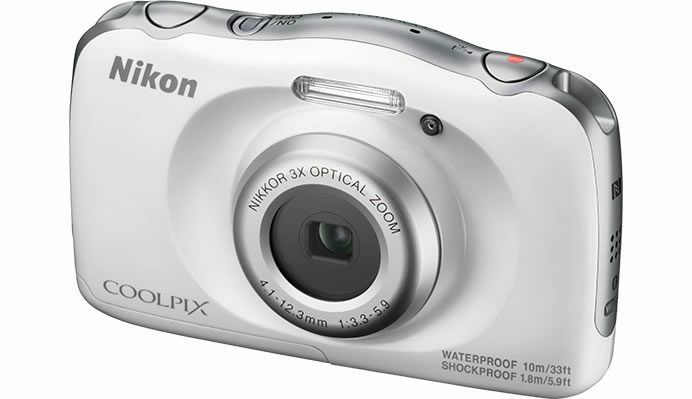 The camera has an effective pixel count of 13.2 megapixels and is equipped with a 3x optical zoom Nikkor lens (6 elements in 5 groups). 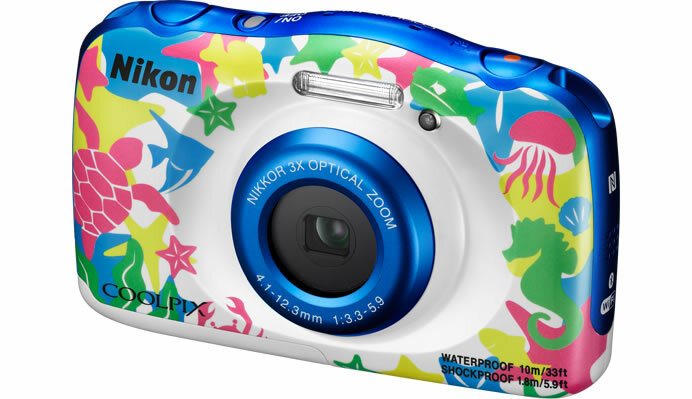 Its compact rounded design, large buttons and intelligent features such as Underwater Face Framing, enable users to capture high quality images and full HD videos easily at the press of a button. New creative options including the Add Cartoon Effects and the Stamp function also aid in cultivating an interest amongst younger users. Coolpix W100 measure approx. 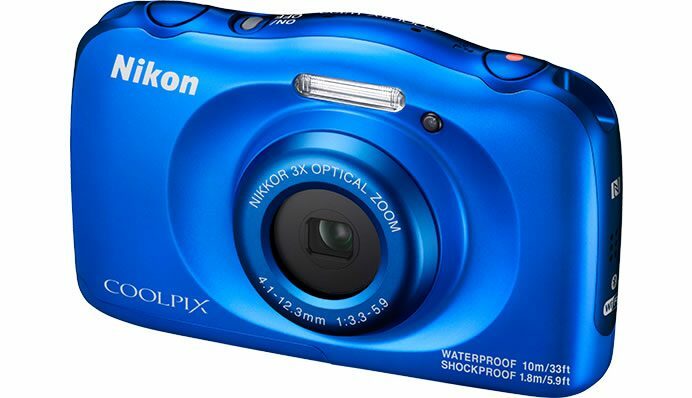 109.5 x 67.0 x 38.0 mm and weighs 177 g (including battery and memory card) and is available in five different colors.